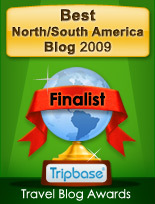 Nov 19, 2007 – It can be a surprise to first-time visitors to this country to see how heavy most Mexicans are. It seems to be a normal part of the culture. The diet here doesn’t tend to include a lot of vegetables. Sugary bottled drinks (you know the brand names) are widespread. According to an article in the Guadalajara Colony Reporter, a 2005 survey found 70 percent of Mexicans to be obese. So there is also a lot of diabetes here, diagnosed and not. According to that same article, Mexico has the highest rate in the world of Type II diabetes in children in the world and the second highest adult rate in the world. The health care system here is being strained by the needs of these people. So why am I writing about this? When I saw the article, I was moved by it. Members of my family have had diabetes, and the desire to not develop it is one of the things that motivates me to exercise and to eat moderately, at least part of the time! Including Thanksgiving. We’re doing a simple one at home with friends. The frozen turkey from Chihuahua is thawing in the fridge. Obesity is NOT a normal part of the culture. Nor is it part of ANY culture. There were VERY FEW Fat Mexicans when I came here in 1954. They ate tortillas and lots of beans and chile and lots of lard and there was practically no Pan Bimbo or White Wonder bread. Pepsi was here but was very expensive. There was not a single place that sold Birthday cakes. Cakes and pies were unheard of. Packaged cookies were just beginning. Frosting was unheard of. There was traditional Pan Dulce. Obesity comes from eating SUGAR just the same as in the States. Weird! It works for me. Try cutting and pasting, or just go to www.ted.com and search on dean ornish. Thanks I got it. Ornish is Very Very Scary. I see it all around me but I never saw it globally before. A visit to the U.S. used to be horrible with 6 year old butterballs waddling down the street. Now a visit to Mexico is getting to be almost as bad. Hypoglycemia and Sugar Diabetis is in my genes. One dead brother and 2 much younger diabetic sisters. I will outlive them. 26 years ago I was pre-diabetic (hypoglycemic) and I changed my diet and excercise habits radically and got normal weight and stayed there and am hale at 82. Now it is coming to Mayan Guatemala. In Guatemala packaged cookies are just now appearing in the small, neiborhood stores. Wedding cakes are suddenly available in Panajachel. Refrescos are just beginning to be affordable. Ornish is tragically right. It’s coming.